Cat Hiding In Car Exhaust For 12 Cold Hours… They Thought The Cat Was Dead, But Then… WOW. Daisy the cat ran away from her petsitters and took cover inside a vehicle. The people couldn’t find her anywhere, so the kitty stayed inside a car exhaust for over 12 hours. It was very cold that night, so no one knew if she survived or not. She’s Trying To Feed Newborn Kittens, But It’s Almost Impossible… Wait Till You See Why, OMG! 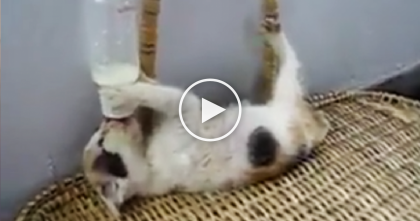 The Moment When Mother Talks To Her Kitten… It Melts My Heart, TOO Cute To Handle!! 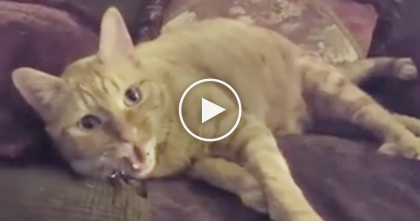 This ‘Talkative’ Cat Has The Purrfect Response To All The Right Questions… ADORABLE!! 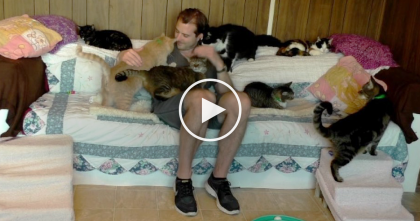 He Walks Into A Room Full Of Kitties, Now Watch What Happens… ‘Purrfect’ Therapy! 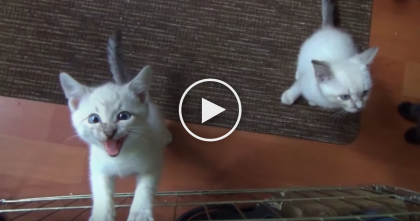 He Comes To Feed The Kittens, But Just Listen To Their Response… Oh My Goodness, SOO CUTE!